Jaeger – A treasure trove of data, part of which can also be applied to shallower waters, by mining companies. What happens when Nature decides to push the “reset” button on an ecosystem? The answer can be found in the aftermath of the submarine volcanic eruptions that took place off El Hierro in the Canary Islands between October 2011 and March 2012. The resulting magma vaporized everything in its path, providing a fresh blank slate for a mysterious organism never before seen by scientists to move in and restart life in the area. A Russian naval intelligence ship has sunk off Turkey’s Black Sea coast after colliding with a vessel carrying livestock, Turkey’s coastal safety authority says. 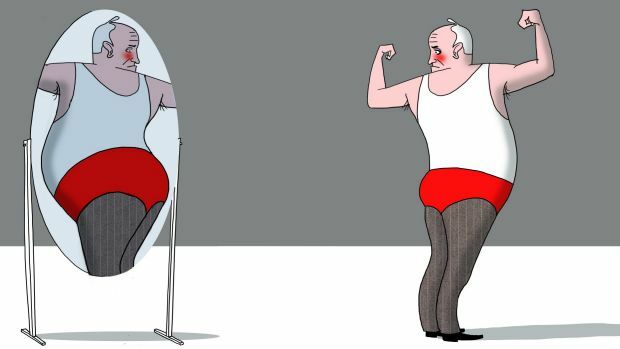 John Hewson writes that we are at the mercy of two mad men. Unsurprisingly gas producers are calling BS on Turnbull’s claim that gas prices will halve as a result of his intervention. Peter Martin looks at how the intervention came about and how it contradicted a lot of prior ministerial utterings. Michael West goes deeply into the gas crisis and says it was desperation that drove Turnbull to intervene. 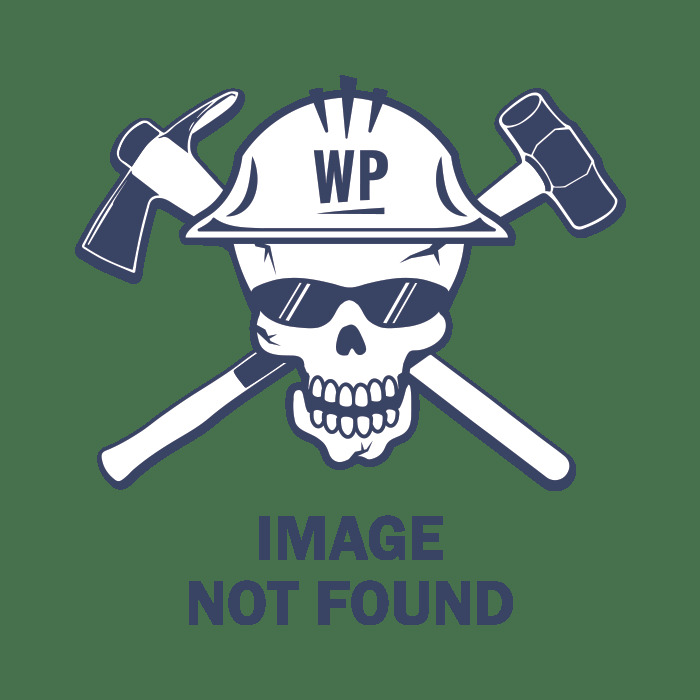 Anne Aly’s Anzac Day experience demonstrate two things – the power and rapidity of social media and the spite of right wing groups. 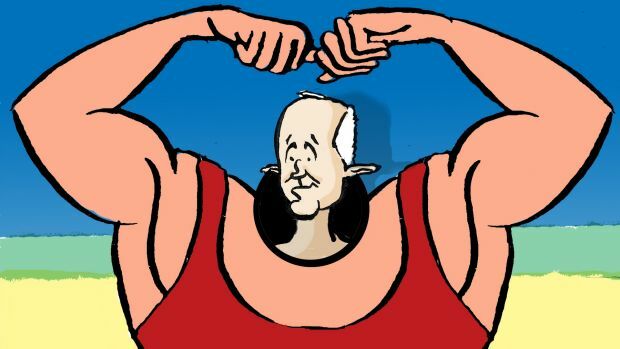 Peter Martin on what we can expect from Morrison’s accounting gymnastics. The Pentagon’s top watchdog has launched an investigation into money that former national security adviser General Michael Flynn received from foreign groups. The Queensland CCC is ignoring the big question: why are councillors such targets for corruption writes Dr Cameron Murray. Here’s what Trump’s first 100 days have done for women. Weleed Aly says that Turnbull’s “tough” stance on migration is doomed to fail. Labor has denounced the move for a super-sized homeland security ministry, calling the Turnbull government’s consideration of the idea “deeply concerning” and a “power grab” by Immigration Minister Peter Dutton. Barnaby pooh poohs the Productivity Commission’s report on decentralisation of the APS. The guy is barking mad. Laura Tingle launches a tirade on government IT being a black hole in every sense of the word. Google. LOW-cost airline Jetstar has been rated as the worst in the world by travellers who blame long delays and lack of cost transparency as their biggest gripes. Nice work! Google. Angela Merkel has delivered a sidewinder at the illusions Britons have about an easy ride out of the EU. Can Marine Le Pen still win the French election if her opponents don’t show up to vote in the run-off vote on May 7? The charming family man Ross Cameron is appealing his suspension from the Liberal Party. Optus and Telstra are complicit in a predatory multimillion-dollar billing scam. 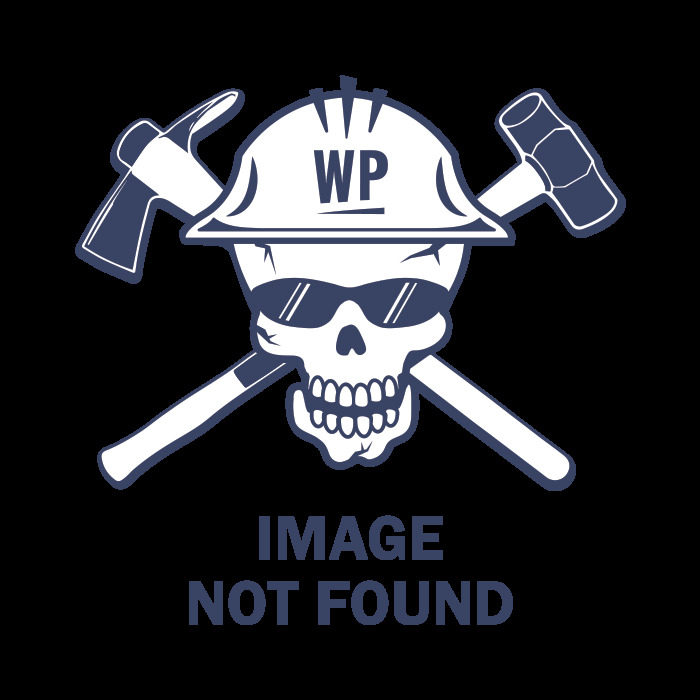 Another good exposé from Michael West. Richard Olger writes that Macron is the moderate revolutionary that France needs. Josh Gordon previews Dan Andrews’ “make or break” budget to be announced next Tuesday. The “Aussie values” test will get very tricky says this contributor. Andrew Street and the national anthem Australia deserves. Faced with a national crisis that killed 71 women last year, the government has responded with little more than empty words and crocodile tears. If that mindset goes unchallenged, domestic violence runs the risk of becoming an issue we only care about when something particularly awful happens. Alex McKinnon gets stuck in to Brandis and Cash. Madonna King says that if Yassmin’s comment was out of line her attackers were worse. The AOC is descending into clusterf**k territory! An Australian initiative that seeks to combat food wastage and feed those in need has opened its doors in Sydney. Richo reviews Trump’s first “wacky” days in office. Google. Underworld figure Mick Gatto has used his formidable negotiating powers to settle a $15 million tax bill by paying less than $4 million. It did cost him $1m in legal expenses. White House Press Secretary Sean (Comical Ali) Spicer tried to blame President Obama for Trump hiring Mike Flynn because Trump never did another background check of Flynn but used the same one that Obama administration did years before. Stockland and Mirvac, the country’s two biggest residential developers, will focus on providing more affordable housing through mixed-use urban redevelopments. Workplace induced mental illness is costing toxic businesses plenty. The aviation safety watchdog is advancing plans to finalise controversial rules allowing fewer cabin crew on Australian aircraft, a move that has angered unions but that airlines insist will bring them into line with global standards. Google. The stage has been set for extraordinary scenes in the NSW upper house next month, as a parliamentary committee into toll roads considered whether to compel a senior executive of WestConnex to appear before it and reveal his salary. 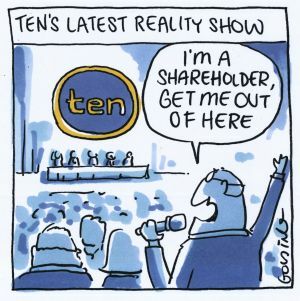 Network Ten could be broken up and sold off for the benefit of its bank and three billionaire shareholders by the end of the year if a transformation project fails to improve its fortunes. Yesterday its share price got pummelled again, dropping 19%. The fall of Joe Gutnick into bankruptcy and angry courtroom scenes. 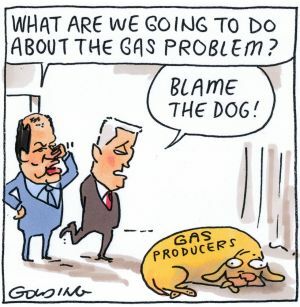 Matt Golding on the gas problem. Cruel work here from Andrew Dyson. Simon Letch continues in the same vein. Matt Golding and the reality show that is Network Ten. Jim Pavlidis on our defence “shield”. 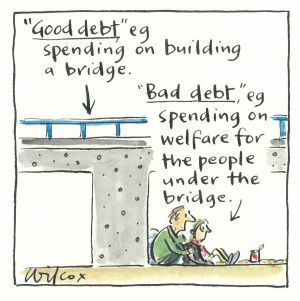 Cathy Wilcox nicely starts off the ridiculing of Morrison’s god debt-bad debt mantra. Mark David also has a crack at debt redefinition. 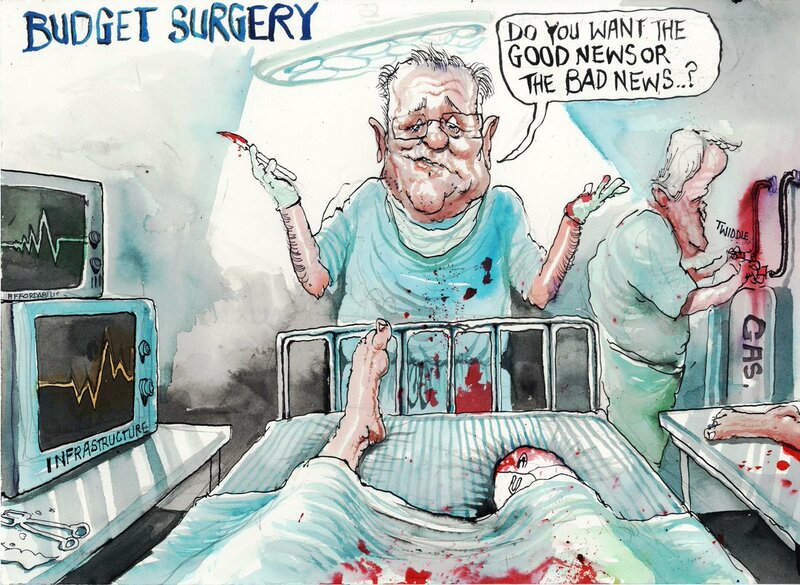 Of course David Rowe has a go at Morrison’s debt statement. 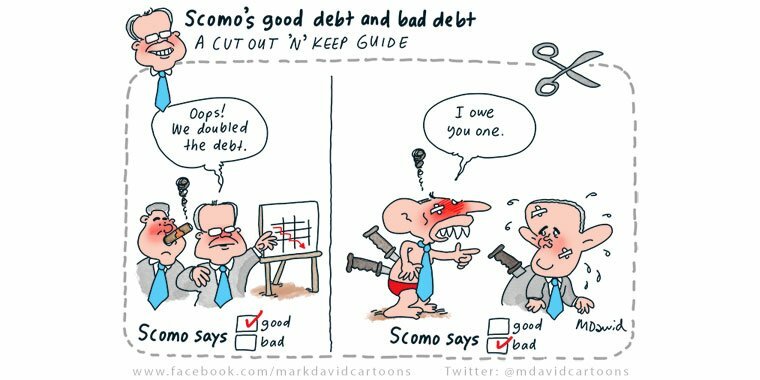 Jon Kudelka has a good slant on Morrison and debt definition. 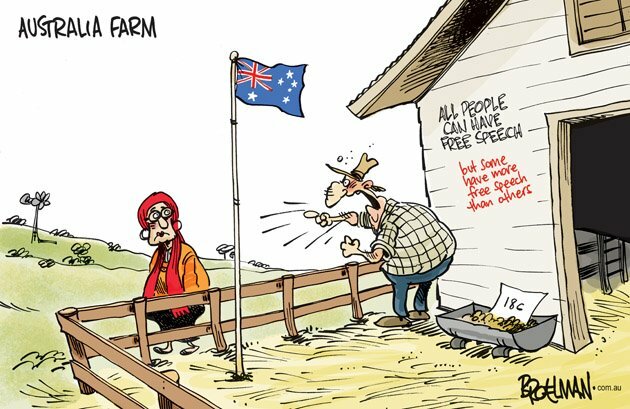 Broelman on free speech (for some). A very good contribution from Mark Knight and Turnbull’s gas supply intervention. Today’s cartoon prize goes to David Pope on Morrison “upgrading” the debt truck. Sorry folks. 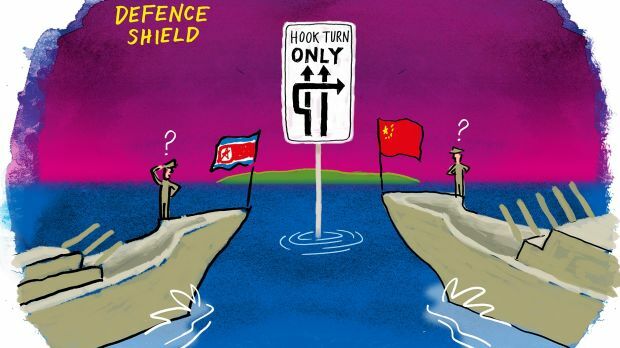 Here’s the correct link to the John Hewson article. The government’s new Health Care Homes thing isn’t new at all. It already exists – it’s called the Chronic Disease Management Plan and GPs have been using it for years. I know this because I was offered this plan a few years ago. I refused it, I didn’t think I needed that level of management, but one day I might take up that offer. Until Turnbull and Grunt ruin it with their brainfart it works like this. You are diagnosed with a chronic health condition that needs monitoring and treating for maybe months, maybe the rest of your life. You and your GP work out what treatment you will need, what you need to do, what your GP will do and when you will need reviews. If you need other medical professionals to help manage your condition your GP will set up a Team Management Plan/Multidisciplinary Care Plan and give you referrals. It might be a physiotherapist, a psychologist, a dietitian or whatever you need. The only condition is you must need at least two of them. There is a limit on how many visits you can make in a year. Medicare pays for all or most of this,depending on whether or not you have to pay some sort of co-payment. GPs get Medicare rebates for their work too. You won’t know this scheme exists until you need it, or until a family member or a friend needs it. This lack of knowledge is what the government is going to use to spruik their scheme as something brand new. It’s not, and knowing how well this government manages to ruin every good thing they touch they will end up destroying a damn good scheme that has been working well for a long time. 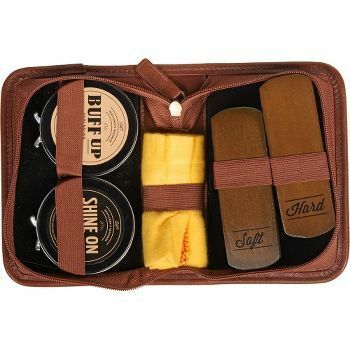 Helping Turnbull pack for New York – just a few things he will need. Knee pads to protect his knees while grovelling to Trump. 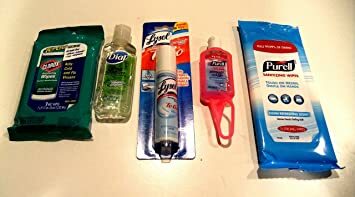 A travel-size shoe-shine kit for polishing Trump’s boots while he’s on his knees..
Hand sanitiser, disinfecting wipes and disinfectant gel for use after the inevitable arse-licking. 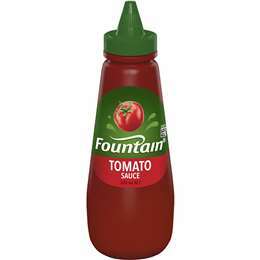 Good old Aussie tomato sauce for making all that crow and humble pie he’ll be eating just a bit easier to swallow. Hilarious kit, leone. 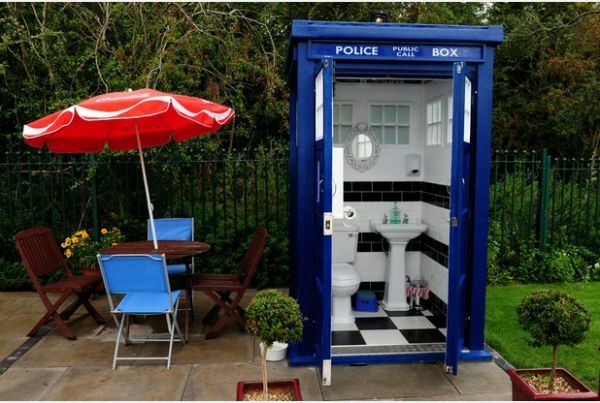 He will indeed need it. I think you’ve just about covered everything there, Leone. Great kit, Leone. Brightened up my birthday which is going well. Perhaps one more item, a bib for all the dribbling that will go on. Australia took 12,000, hardly anything compared to Germany’s effort and not part of the 2016 influx. . Abbott pledged to take 12,000 in 2015, it’s taken almost two years to get those people here, far too long. It looks like the government considers it has done its duty and won’t be taking in any more. The last Australian visas were issued not long ago, or so the government says. There’s still a lot of argument over whether or not Christian refugees were given priority over Muslims. No-one is government is willing to say. Happy birthday! I’m glad it’s going well. Have a wonderful one, GD. Love it, Fiona! Many thanks to all for the good wishes. And there I was, looking forward to some of that nice clean coal. And where was she when Julia Gillard could have used a bit of support? Over the road Dave posted this great quote from Deakin. Pick a word that does not belong in a description of the current band of rogues. ..the forces of conservatism were: “a party less easy to describe or define, because, as a rule it has no positive programme of its own, adopting instead an attitude of denial and negation. Sophie is clearly suffering from Attention Deficit Disorder.